Detail Central is proud to stock NANOSKIN – one of the US’s leading manufacturers of car soaps, cleaners, polishers & car care products. We have carefully selected a variety of products that are perfect for the Australian climate and will add years to the life of your vehicle’s exterior. You’ll find everything you need to make maintaining and protecting any vehicle a breeze. Developed using nanotechnology by highly-qualified chemical engineers, NANOSKIN products are at the bleeding edge of car reconditioning and detailing science. Backed by many years of research and development, you can rest assured that NANOSKIN’s priority is your vehicle’s finish. Plus, all the sponges, pads, crèmes and waxes you’ll ever need to keep your vehicle looking its best. Detail Central has quickly gained a reputation for quality, stocking only the very best products. We back everything we sell with our commitment to customer satisfaction and strive to give everyone the best detailing experience. Whether you’re need detailing or car care products for your car, boat or motorbike, you’ll always receive the highest standard of service and the peace-of-mind of knowing that every product in our range is one we’d use ourselves. 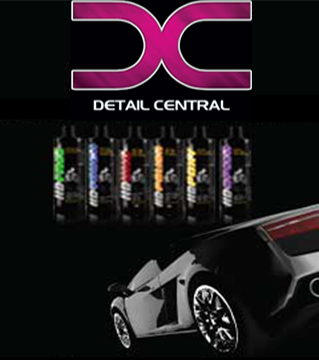 The experts at Detail Central have all the product knowledge and experience you need to make an informed decision. We will be happy to provide all the information you need, whether you’re looking for something specific or simply don’t know where to start. We have been in the car detailing industry for many years, with a long list of customers who return to us for all their vehicle maintenance requirements. Pick up the phone and call our team on 0458 966 399 and we will be happy to answer any questions you may have. You can also leave your details in our contact form and we will get back to you as soon as we can. Alternatively, head to our showroom in Carrum Downs to see for yourself the full range of Detail Central.